With the passage of winter to spring, Grace K Bunts, 104.5 years old, passed peacefully into heaven with her granddaughter at her side, on March 24, 2019 to join her large circle of family and friends. Grace was born on September 22, 1914 in Orbisonia, Pennsylvania. She moved to Akron in 1916 where she remained for the rest of her life. Grace was married to Louis “Lou” Bunts for 58 years before preceding her in death in 1988. She is also preceded in death by her parents, Andrew and Lilian Kinnan; brothers, Reed and Marion; sister, Ester (Kinnan) Springston; and son, David Bunts. She is survived by daughter, Sandra (Bunts) Rafos; grandchildren, Kim Sirrine, Sharon Rafos, Robin Roy, Valorie Bunts, Kevin Bunts, Kyle Bunts, Keith Bunts and lots of great grandchildren and great-great grandchildren. Her grandchildren view her as a “woman ahead of her time” while keeping true to old traditions and values. She was an example of strength and independence; always following her own path. Grace attended the University of Akron and studied Physical Education which was nontraditional for women at that time. She was a leading scorer on the Kinnan Electrics Women’s Basketball Team. She enjoyed teaching PE in Akron schools for 8 years before moving into social work. Grace retired from Summit Family Courts where she worked in the Juvenile Court Division. She volunteered in the Youth Detention Center and always believed there was hope for rehabilitation and recovery for everyone. 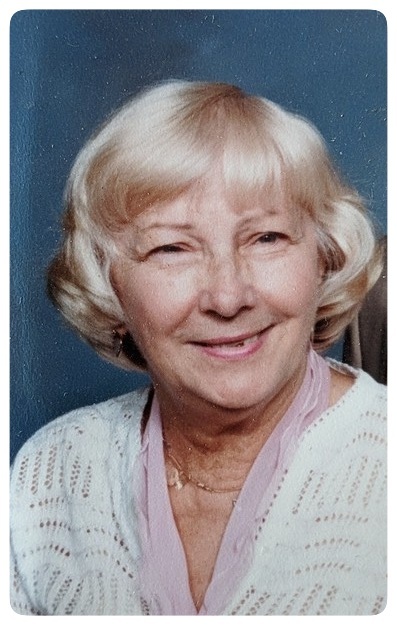 Grace had a strong sense of civic duty and was the Republican Party representative and worked into her 90’s as a ballot handler that opened and closed her district polling station. Over the years Grace’s community involvement included; the Garden club, volunteer of Stan Hywet, Engineers Auxiliary Club, Board of Juvenile Court, Woman’s City Club, Zeta Tau Alpha Sorority, Red Cross Gray Ladies and Akron Milk Co. hostess. She participated in many bridge clubs and bowling leagues with her husband Lou. She was a lifetime member of the Unitarian Universalist Church (1917-2019). Grace and Lou built a beautiful retirement home that became a special gathering place for her family and friends. Her spectacular gardens were featured by the Garden Club tours and her grandchildren recall the magic of her “7:00 o’clock” roses that would open in the summer evenings. In her early retirement years, Lou and Grace travelled the world as members of Rotary International highlighted by a 33-day Asian tour. Grandma was an avid Cleveland Indians and Cavs fan. She followed both teams with enthusiasm and enjoyed the Indians in the World Series and the Cavs winning the National Championship. She cared for an abundance of wildlife that came to her yard and took joy in her hours of “animal and bird watching” while knitting. She called her knitting her “therapy” and put her hope and prayers in each stitch of the countless hats, sweaters and blankets she created. In her final days, Grace shared her belief of what was especially important in life. “We all need to be loved and to love; love is important”. Grace was a lover of all living things. Her heart touched family, friends, animals, nature, and she had great compassion for the disadvantaged. Grace will be remembered as a loving mother, grandmother, neighbor and friend. Her doors were always open, and she enjoyed visitors and company in her home. Treats and beverages were always ready for those she welcomed. The family would like to extend special thanks to the Fairlawn Police Department and recognize their Senior Watch program which allowed them to call and check on Grace every morning for the last 20 years. We also appreciate all of the wonderful care in her final weeks from the staff at St. Edwards Village and Summa Hospice.